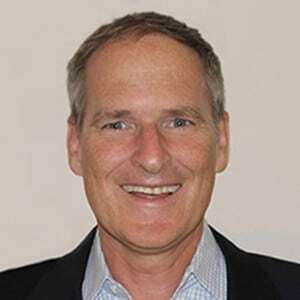 Ethan Hanabury is an award-winning executive coach, top management team expert, and executive education pioneer who is passionate about helping organizations and their people achieve their goals. Ethan guides his executive clients to clarify their own motivations and those of their stakeholders. Ethan’s strategic insights into the organizational environment, warmth, listening ability, and skillful questioning open his clients to learning. His results orientation challenges them to take the action necessary to achieve success. Ethan brings 28 years of experience and perspective as a senior leader and educator to his coaching practice. As Senior Associate Dean at Columbia Business School, he led the teams that brought #1 rankings to the School’s Executive MBA and Executive Education programs; raised student satisfaction levels to record levels; and fostered a learning community that nourished tens of thousands of young women and men to achieve their professional goals. Ethan was recognized by the graduating classes of 2007, 2009, and 2011 as the person at Columbia who made the biggest difference in the quality of their overall experience. When he transitioned in 2011, Columbia Business School recognized his legacy by naming one of the graduating student awards in his honor for perpetuity. Previous to his deanship at Columbia, Ethan was a product manager with Unilever and a CPA with Arthur Andersen. Ethan has worked from the senior vice president to emerging leader level. Ethan’s clients include Columbia University (Business School, Teacher’s College, and Central Administration), University of Notre Dame, St. Joseph’s University, Bronx Defenders, American Express, Calvin Klein, Wellpoint, Standard & Poor’s, Barclays, ING, Societe Generale, Cisco, Verizon, Campbell’s Soup, Plum Organics and Exxon Mobil. Ethan earned his MBA from Columbia University and completed Columbia’s Coaching Intensive Program. He lives in New York City and South Florida. Ethan has served on numerous boards and is a former board member of the Executive MBA Council.